My name is Jen and I am from Sydney, Australia. I started this blog to share my love of kawaii, Japan, travel, pen palling (snail mail) and all things cute. 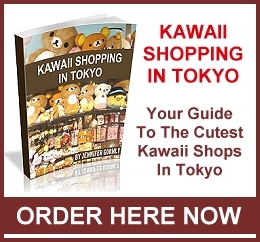 Kawaii is the Japanese word for cute and is generally used to refer to anything cute from Japan. Kawaii is also used to refer to specific brands of kawaii stationery. These include San-X (my favourite! ), Kamio, Crux, Pool Cool, Q-lia, Mind Wave and Sanrio. I love to collect kawaii stationery, especially sticker sacks, sticker sheets, letter sets and mini memos. You’ll find lots of pictures of my collections throughout this blog. I also swap a lot of kawaii through swap-bot and flickr. My husband and I travel as much as we can. We have visited Japan many times (I’ve lost count of how many) so you will also find some of my Japan travel stories on this blog. Thank you for visiting my little home on the net. I hope you enjoy your stay.